Leave a comment on THIS post by 6 p.m. CT Tuesday, March 29, 2016 to be entered in the DRAWING for a copy of the book below. If you mention in your comment that you’re a follower (see in the left sidebar “Join This Site” and “Follow by Email”), I'll add your name a second time in the drawing. U.S. mailing address required to receive a paper book. I may or may not have read books offered for giveaways. The mention and giveaway of books on my blog does not in any way indicate any manner of my endorsement of said books. Read book giveaway details at Disclaimers. To provide you security, please leave your email address like this: johnATyahooDOTcom. Winner announced in next Thursday's blog post. Northeast with her husband where she enjoys spring, summer, autumn, and puts up with the winter. A member of several writing associations, she also is a contributing author to the international “Happy Sis Magazine.” In addition to Twitter, Facebook, and Goodreads, she hangs out on her active blog, Everyone’s Story, dedicated to uplifting and encouraging all readers through the power of story and hope. Please check out her new website. Welcome, Elaine. If you could have dinner with one person from today or history (except Jesus) who would it be? Why? There are so many extraordinary people that I’d love to sit down and chat with over dinner, ranging from world leaders, authors, movie stars, people from the Bible, all of my relatives from Day 1, but right now as I type this the one person that comes to mind is Helen Keller. I’d love to communicate with her on the subject of facing fears and the unknown and her faith in God. Writing is freedom. It provides an escape, in that I wander away from my everyday life of complexities and wonders. It’s also totally liberating: I’ve been told to hush up once too often during my younger years and in my story worlds I can live through my characters and say and do what I want! Also, while writing I’m still amazed what comes together for me, not only in how a story plot may resolve itself but especially what I learn about others and myself. Writing is my happy remedy! If readers enjoy Always With You, I’d really appreciate it if they can talk it up whether to suggest the book to a friend or a librarian or spread the word via social media such as a book review on Amazon or Goodreads. I’d also love to hear from you! Please tell us a little about your novel, Always With You. The premise is whether an innocent but naïve young woman and a man, who has been conditioned to hate, can love each other and accept God into their hearts. Where can readers purchase Always With You? Heartfelt thanks, Jo, for hosting me on your lovely blog and giving me an opportunity for sharing my debut novel, Always With You. I hope your readers have enjoyed hearing about Isabelle and Tyler’s story. 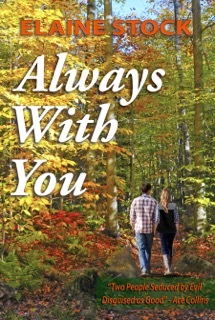 A reviewer describes Always With You as a “gritty story of redemption and reality mixed with credible characters in inspirational fiction.” Do you enjoy this type of story and usually what grips you when you’ve read such a story? One commenter to this post will win a Kindle eBook copy of Always With You, which Elaine has offered. IF YOU COMMENT, PLEASE REMEMBER TO LEAVE YOUR EMAIL ADDRESS SO I CAN CONTACT YOU IF YOU WIN THE BOOK DRAWING. The winner of last Thursday’s blog post for a copy of Londonderry Dreaming by Christine Lindsay is Elaine. I’ll email you. Thanks all for commenting. Watch for more book giveaways. Jo thanks, so much for hosting me on your fabulous blog! I'm looking forward to meeting your viewers. Can't wait to read Christine's novel! wonderful, and I know it was a joy to write. Hi, Diane. So happy and thankful that you've visited Jo's lovely blog today. The first draft of Always With You practically flew out of my fingertips (though it took many more drafts and editing to get the story where it ended up) and I think it's because of a huge passion of mine: that all humans need to treat each man, woman, and child as an equal human being and that there's no room for hatred between anyone. My thoughts, at least. I hope you'll give this novel a try. Let me know what you think! I'm so excited to see Elaine Stock's debut novel is released. I won't enter the drawing for the free book because I have already read it and LOVED it. Highly recommend it. Christine, my beautiful friend, so good to see you! You're a one-woman cheer squad for me and I so appreciate it. I'm so thankful God had us meet back at that ACFW conference... I didn't land an agent or editor then but I was sure graced with a blessed friend. Christine, thanks for coming by and leaving your comment. Enjoyed the interview with Elaine. I have already read and loved Always With You so please don't enter me into the drawing. Ann, I so appreciate your visit. You're rays of sunshine for me! You are a new to me author. Would enjoy reading your book. Hi, Dianne. 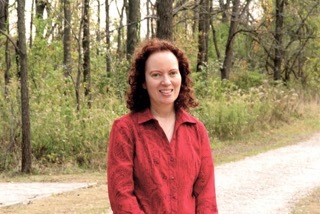 Thanks for stopping by Jo's blog and taking an interest in Always With You. I hope you'll have a chance to read Isabelle and Tyler's story. If you do, please let me know what you think. Dianne, glad you found a new-to-you author. Thanks for commenting. You are a new author to me. I see by some the prior ladies review a I would enjoy your book. Have a wonderful day. Hi, Lisa. Thanks for visiting Jo's blog. Always With You has been blessed with several lovely reviews, which I'm grateful for. I hope you'll enjoy this story as well. Lisa, thanks for leaving your comment. I have read Elaine's book and loved it! You will too. AnnaLee, I'm fondly waving to you from up "North"! Thanks for the sweet words. AnnaLee, thanks for stopping by and commenting. Sounds excellent. Would love to read this book. Karla, I appreciate your enthusiasm. I hope a copy finds its way to you! Karla, thanks for leaving your comment. Sally, it's truly cathartic... I'm usually chuckling or weeping along with my characters and when I don't I wonder if I need to rewrite a section. Thanks for your support! Good luck on the Giveaway. We went to the Helen Keller house when we were in Alabama. Unfortunately, it was too hot that summer so they weren't performing the play. Thanks for having the giveaway. Hi, Rose. Ever since I can recall I've been an admirer of Helen Keller. Talk about a strong woman! And I thank you for visiting Jo's blog and expressing interest in Always With You. Rose, thanks for leaving your comment. Love the book title! I really enjoyed reading this interview with Elaine. 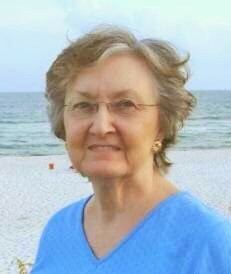 She is definitely one author who's heart is in the right place! Love and forgiveness are indeed the divine remedy to hate and bitterness. Ryan, thanks so much for visiting this morning. Your kind words brought happy tears to my eyes! I'm glad you appreciate the title: it reflects not only the love between Isabelle and Tyler but the love God has for all of us. Easter blessings to all of Jo's lovely viewers! Ryan, glad you enjoyed the interview with Elaine. Thanks for commenting. Love it when Elaine visits! I actually live about an hour from where Helen Keller was born. I've been to the house several times and am always fascinated by all the information there. There's even a recording of her voice. Come on down to Corinth, Elaine, and I'll take you there. Patricia, thanks for leaving your comment. When I was in elementary school, I walked past Helen Keller's birthplace on my way to school. Pat, thanks for visiting! I'd love to take you up on your offer... one day, I hope sooner than later. Wow, Jo, walking past Helen's home... I wonder as a little girl if you realized the magnificence of her. I just came back from a sunrise Easter service and after reading your comments I'm wondering what extraordinary sunrises one sees in heaven!! So very happy for you! You are an inspiration...you refused to give up and have now realized your dream! Cynthia, your words have blessed me this afternoon. Not giving up can have pluses and minuses, but when it comes to chasing after a dream I'm glad I haven't. I will say one thing though: I couldn't have achieved one thing if it wasn't for the support and cheer of friends like you! Jo, heartfelt thanks for hosting me on your lovely blog. I enjoyed meeting your viewers--some were new names to me, others friends that thrilled me with their support. I'm looking forward to seeing who the winner is! For anyone who doesn't win. It would still like to try for a Giveaway, I'm offering a print edition (US only) on Goodreads but only until Saturday, and a Kindle version on Kathy Rouser's blog, Let's Chat.